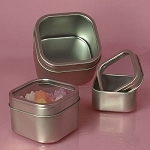 Do you need a stunning container for gifts? The 4 ounce Square Seamless Cans are the ideal solution. 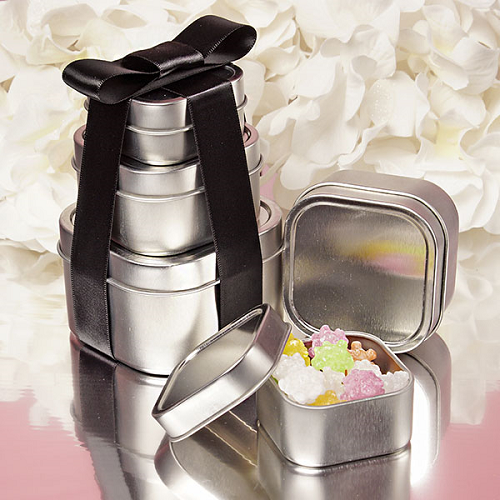 These well crafted tins are great for gifting small candies, personal notes, jewelry, and much more. 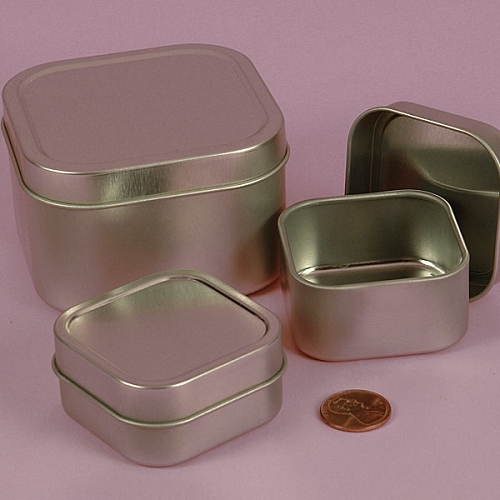 Grab the attention of customers by displaying your product in these beautiful classic tins. Slip on covers and containers both have rounded edges and smooth seams for your safety. 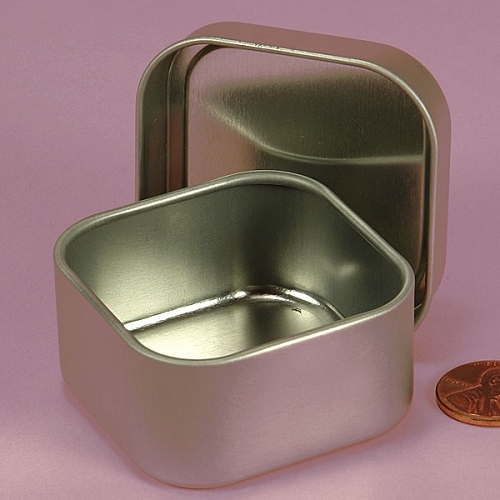 Made from 100% steel, these little containers will keep your treasures safe and snug. Place your order for 24 square seamless can today!